HomeCryptocurrencyfuturemoneytechnologyCryptocurrency – Money of the Future? Cryptocurrency – Money of the Future? The rise of bitcoin has triggered many interesting discussions all over the world. With its recent jump to $5,000, downgrade to $2,000 before finally settling at the stable proximity of $4,000, a single bitcoin is now enough to buy a budget car! Although we can only guess the future of the bitcoin and the like, people are often unaware of the fact that the traditional modern methods of payment that we’ve all grown to accept (ex. cash, credit cards, debit cards) are almost equally as uncertain as the future of cryptocurrency. Although we see it and use it every day, we still find it hard to wrap our heads around the concept of money. One would presume that there would have to be a limit to it, in order to control the inflation, i.e. currency depreciation. Well, this is basically a known experiment, also known as monetarism, that was actually completely abandoned, owing to the fact that people realized that establishing the precise definition of the money supply is impossible. Why? Well, the whole idea likely originated from the concept of precious metals – the more of these a person/tribe/community/nation had, the richer they were. Unlike paper money (which, in itself, and without the rules of economy, is as valuable as a regular piece of paper), the supply of precious materials is dictated by a higher power – the nature. Throughout the human history, alchemists have been trying to produce gold, all having met failure; if they were to have succeeded, however, gold would be hit hard with inflation, creating a huge disbalance in the world. Scarcity makes for a huge demand! With the rise of the cryptocurrencies, people are starting to question the future of paper money, and, to be clear, absolutely rightfully so! The regular dollar (or any other) bills that we’ve all grown to love and hate over the course of our life and history may, indeed, be rendered completely or almost completely worthless sooner than you might think. On the other hand, it is important that everyone realizes things are far from set in stone. For one, even if paper money is destined for failure, the question of the “heir” currency remains. Secondly, whoever thinks that electronic cards have all but replaced paper money couldn’t be more wrong! Why? Well, just as gold used to back paper money centuries ago, paper money does the same for electronic transactions now, and, while these are convenient for making quick and easy payments, the fact remains that paper money still reigns over electronic transactions. The road of the cryptocurrency has been quite a bumpy one. Having started at $0.008, the bitcoin price grew a monstrous 1000% in five days, rising to the abysmal $0.08. Seven years later, bitcoin revolves around a steady mark of $4,000, having jumped from the ballpark of $2,000 this August! It is clear that cryptocurrencies (that are growing in numbers) are something many successful businesspersons are investing in; otherwise, the whole concept wouldn’t work. So, why was this idea able to thrive? The answer is the simplest one in the book: lower costs. Money is being digitalized, and technology, by default, aims at lowering all unnecessary costs. The future of cryptocurrency is yet to be unveiled – currently, it might not be convenient for everything – you can’t use it to buy stuff directly (with exceptions), you don’t necessarily have access to it from across the globe and the fluctuations are still huge, with even bitcoin perfectly capable of dropping/spiking $100+ per day. On the other hand, investing into cryptocurrency is currently pretty smart – if you buy digital currency, you are highly unlikely to lose major money, and placing a small investment could mean getting rich quickly. So, is cryptocurrency worth the investment? At the moment: absolutely! In the long run: who knows? If you had invested in bitcoin back in 2013, 2014 would’ve made you rich, even if you’ve put in as little as $100. This year’s spike was even bigger, and the analyst who correctly predicted this year’s bitcoin jump to $2,000 says that it could hit $100,000 in 10 years’ time. From the current point of view, cryptocurrencies are very much likely to become the world’s main currencies. 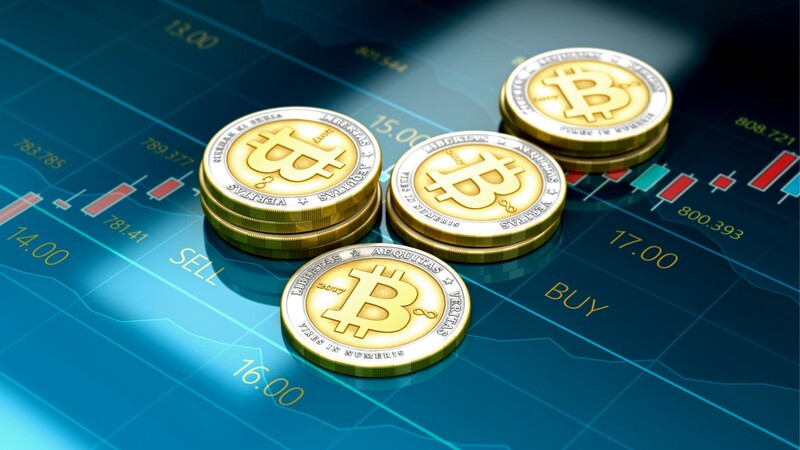 Of course, this is all speculation – the bitcoin trend may well die off within the next couple of years, but one thing is certain – everyone should equip their accounts with some form of digital currency, because, who knows, it might just make you rich!